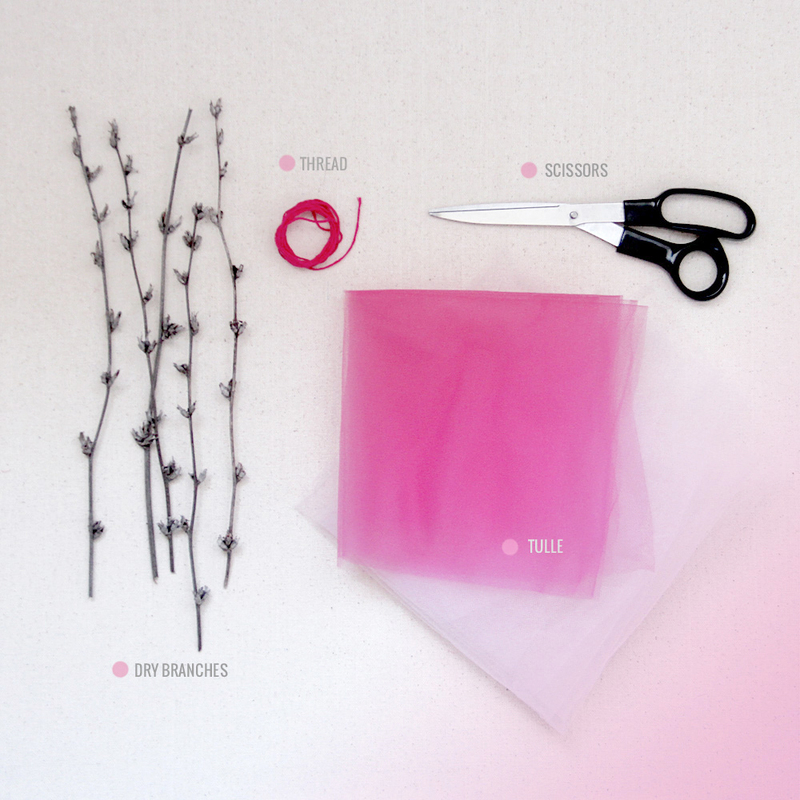 Cut 2 inches strips out of your tulle fabric. Wrap it around your hand (like shown above). 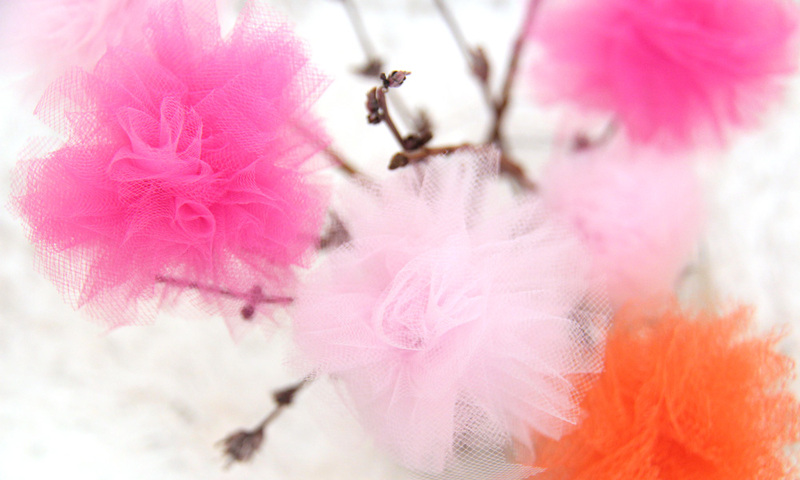 You might need several strips to have a thick pom. Slide you scissors into each loop and cut it. You get a quite messy pom. All you need to do is trim it a little bit. 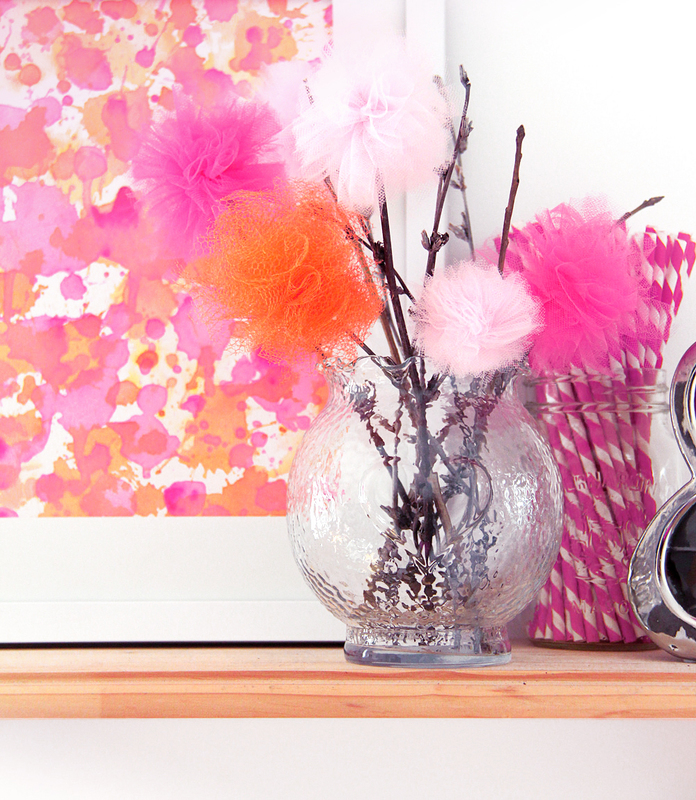 Once you have the cutest tulle pom, insert it on the tip of a branch, and display your flowers in a cute vase. Let me know if you make them! I’d like to know where you displayed them! Notify me of followup comments via e-mail. You can also <a href='http://coloursandbeyond.com/comment-subscriptions?srp=3104&srk=&sra=s&srsrc=f'>subscribe</a> without commenting.